Black Creek Medical Consultants always appreciates feedback from our valued patients. To date, we’re thrilled to have collected 53 reviews with an average rating of 4.89 out of 5 stars. Please read what others are saying about Black Creek Medical Consultants below, and as always, we would love to collect your feedback. It was a really great experience they are all friendly . Dr. Dyce and his Team of Professionals are Truly a Blessing to the City of Hartsville and Surrounding communities. They not only give you the Best care from any one or any place, but they genuinely care about you and your Well Being. Thank You Dr. Dyce and your Entire Team at Black Creek Medical Consultants !!! Great bedside manner. Knowledgeable and competent in her practice. Starting with the staff. They are always friendly and are ready to assist in whatever and however you need them to. Dr. Dyce has a great bedside manner. He listens to what you tell him and will take the information and use it to help in making a diagnosis. He is proactive and aggressive in treatments. You are seen in a timely manner with appointments and allergy shots. Over all Black Creek Medical Consultants is a great group. !! My mother, Eleanor McElveen is the patient. Very pleased with Rachel’s professionalism and caring nature. We absolutely love our visits with Dr. Dyce and Rachel! His staff is very friendly and caring! I love Dr. Dyce! He is a very competent, knowledgeable and caring physician. His office staff are wonderful and efficient. I didn't have to wait long to be seen. Our community is fortunate to have such an experienced ENT. Very satisfied...…...a truly professional atmosphere. I was pleased even though Dr. Dyce is a New Yawker! 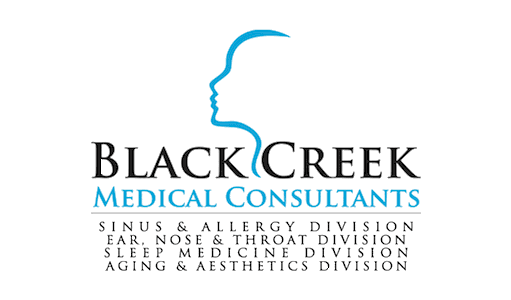 We are very pleased with our experiences at Black Creek Medical Consultants! We were very pleased with our visit . The front office staff is very nice, polite, and very helpful. My daughter saw Rachel Greenfield, PA-C and she was very thorough and my daughter loved her! Everything went well with this visit. I had a very good visit. everyone was very courteous and kind. Everyone knows their stuff! And the whole place is great! Very professional and knowledgeable! My experience was very good and the staff we're very friendly. We are very happy with both Dr. Dyce and with Rachel! We have used the services here for years and have always been satisfied with everything. Dr. Dyce provides great care. He takes the time to listen to my issues as a patient so that the proper steps can be taken towards finding a solution. He and his staff are very knowledgeable and foster an environment that’s comforting to all patients. Dr. Dyce and staff always gives the best care! All are always nice and outgoing!